Despite their hangovers, housemates had to tap into their mental faculties for the Head of House qualifier. Sheillah said she could not wait to give up her title, because she was very tired. She must have been relieved not to have Elikem hovering over her shoulder anymore. The task was a Payporte Quiz Game, which had been set up in the garden. Housemates had to keep their ears open and absorb the information Big Brother read to them about the inception, history and creative elements of the Payporte website. Once Biggie finished reading, the game began with him asking questions based on what he had just read. Whoever knew the answer to a question had to press a button which illuminated their light and they had to raise their right hands. Biggie would confirmed which housemate was the fastest, then gave them a chance to answer. They were told that they were not allowed to shout out answers and anyone who did would be immediately disqualified. The three housemates with the most correct answers in the Payporte Quiz Game would progress to the Head of House task. After a bit of confusion, with Biggie having to go over the rules and procedure again, the game began. 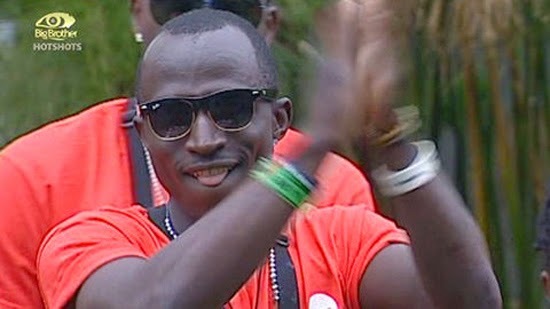 Trezagah, unable to play because of his nomination, watched his fellow housemates. Once the game was over, there was a round of sudden death to break a tie between Butterphly, Nhlanhla and JJ. With JJ winning, it meant that he qualified for the HoH task along with Tayo and Macky2. The Head of House task proceeded in the garden with strict instructions from Big Brother for the housemates who were not competing not to interfere with the three qualifiers: JJ, Tayo and Macky2. The ninja led them outside where they established the order of play by rolling a set of dice. JJ rolled the highest number, meaning he could play first. The game consisted of equal rounds for each qualifier in which they rolled the dice in order to move forward on the Payporte Board Game. After rolling the dice, the qualifiers had to move their game pieces along the board for the same amount of spaces as they had rolled on the dice. Throughout the course of the game, the qualifiers encountered challenges and task which had to be carried out before they could roll the dice for the next round. If housemates landed on a Lucky or a Good-luck Block they had to pick up the corresponding card and read out loud what they had to do. Unless the round or card said otherwise, qualifiers only had one chance to roll the dice in each round and all rules had to be followed to the letter. Whoever reached the end of the board first was the winner, and the lucky man was Macky2, making him the new Head of House, as well as giving him immunity from nominations. What did you think of the winner? Macky 2 all the way!!!!!! We thank God for that favour Macky2 .May the almight protect and bless you. uncommon FAVOUR for Macky 2 all the way. You bet this hater is going to put Nhlanhla up this evening that is why he will never win the moola he can go to the final just to smell the moola he is so full of grudge against Nhlanhla.....watch what he is going to do this evening .....GOD bless Nhlanhla . As a Christian I wish to withdraw my statement I misjudged you sorry my brother....,. Much love to you and thank you for taking my boy to the final. Ulichipuba sana iwe nkusa ayi?